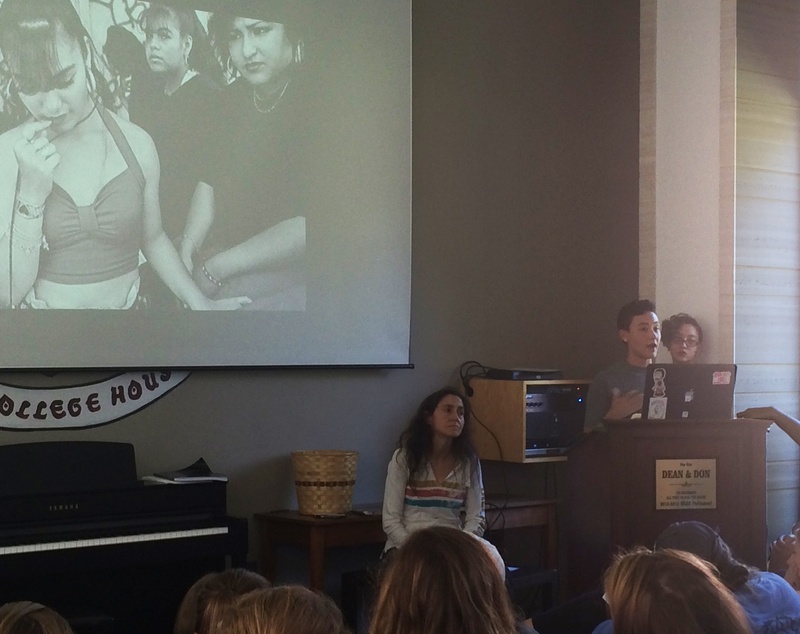 On October 5, PCA&D senior photography major, Jezabeth Gonzalez spoke to Franklin and Marshall College students on her use of her art to explore her Latinx identity. Approximately 150 F&M students attended her presentation that was part of the college’s Day of Dialogue, an event that addresses issues of diversity and inclusion. Jezabeth spoke about how her art explores her changing Latina identity nine years after leaving her hometown in Puerto Rico to pursue her education in the United States and at PCA&D. Jezabeth began her talk by describing how she has sought out Latinx artists as influences who are breaking down labels and expectations that she sees as part of the culture of her birthplace. Her influences areGraciela Iturbide, a female Mexican artist who also explored these labels, Alejando Jodorowsky, a Mexican-American cinematographer whose intense films capture women from Los Angeles and their starving nostalgia for home south of the border, and Matthew Barney, an American artist whose films offer a photo graphic feel with masculine undertones. Jezabeth hopes to explore similar photography and videos, with female and Latinx undertones. 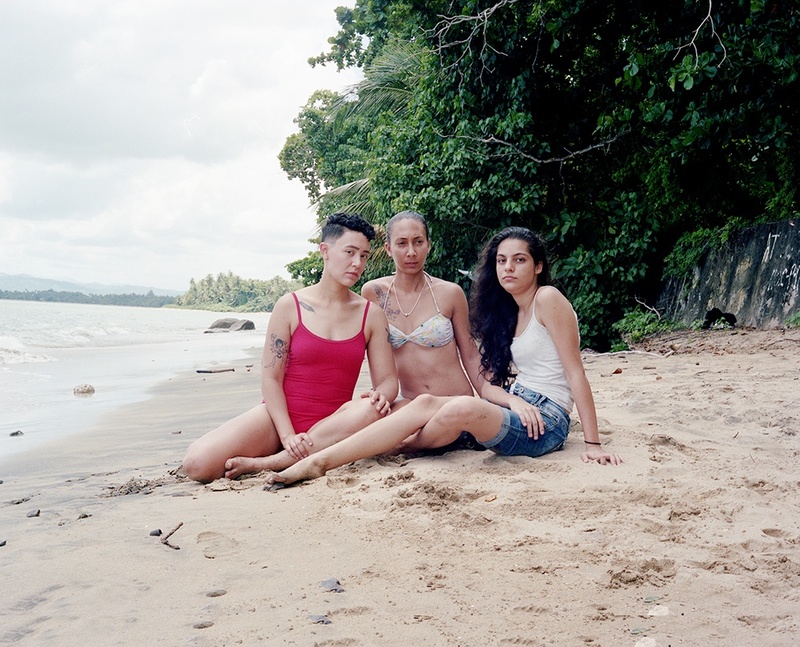 Leading to her current work which she shared with the audience, Jezabeth alluded to “a huge heartbreak.” She had returned to Puerto Rico to photograph the island, and discovered that she felt disconnected with her cultural identity. While living in Lancaster and making different kind of work, the influences of her family had become remote. When she returned, she realized that she wanted to begin to focus on this identify she felt was waning, and beginning to put herself back into her culture. Using her large format camera, she began by capturing family members in her hometown, focusing on elements of their Puerto Rican culture. Eventually she began to add herself back into the images. In addition she created a film, “Piel Canela” using footage from home and here. At the same time, she is exploring what it means to be a young adult in her new home in Pennsylvania, leaving the labels and stereotypes of her family’s lifestyle. Piel Canela from Jezabeth Gonzalez on Vimeo. 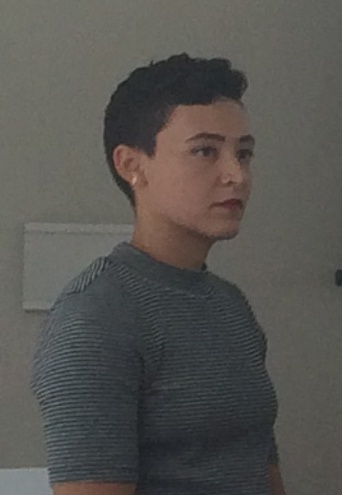 Jezabeth's presentation was contrasted with that of F&M alumnus and artist Selena Almanzar, a second-generation Latina-American, with roots in the Dominican Republic and Puerto Rico. Selena is in the process of learning about her roots and incorporating her Dominican and Puerto Rican ancestry into her art. F&M’s 2016 Day of Dialogue takes its inspiration from an event held in the Fall of 1991. While the college considers itself a far more diverse community, these issues are even more important; hence, the faculty voted to hold a second Day of Dialogue to renew their commitment to being a diverse, inclusive, and welcoming community. As a senior photography student at PCA&D, Jezabeth is currently thinking about her senior thesis, which will be exhibited at PCA&D's Senior Show and Celebration. May 5, 2017. She says she planning to incorporate themes of her cultural heritage into her thesis and will be traveling to Puerto Rico to make more work. Her art can be viewed on her Tumbler site.